Fists of Legends is proud to announce the signing of undefeated welterweight prospect, Janelson Figueroa-Bocachica (12-0, 8 KOs). 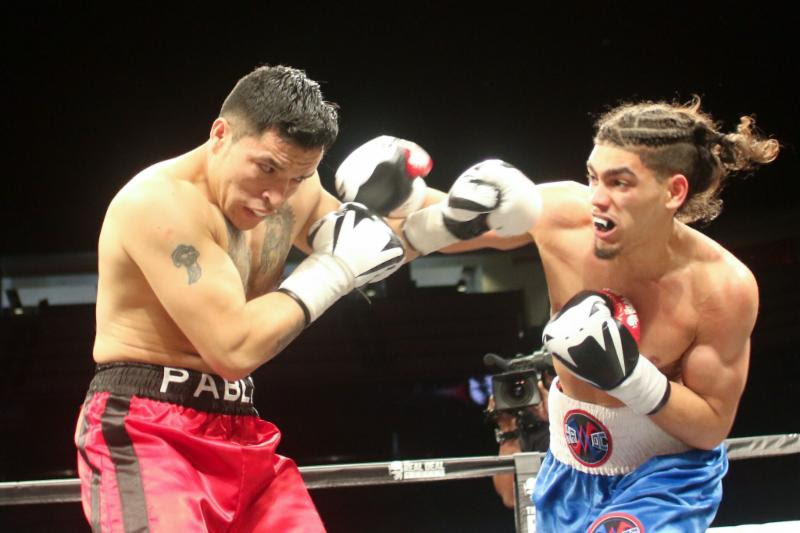 The 20 year old Detroit native of Puerto Rican descent is considered by many to be the best young prospect in the Midwest and is currently ranked one of the Top 40 welterweights in the United States. Figueroa-Bocachica, who is represented by Split-T Management, will make his debut under the Fists of Legends banner this Saturday, January 19th when he fights in Puerto Rico at the Palace of Recreation & Sports against Victor Abreu (9-4, 5 KOs) in a fight broadcast live across the island on DirecTV. “I am super excited to have signed with Fists of Legends.”, says Figueroa-Bocachica. “Signing a fighter the caliber of Janelson Figueroa-Bocachica, is a tremendous addition to our roster.”, explains Jesus ‘Kiko’ Cancel, Fists of Legends’ Director of Talent Development and Scouting. “We are delighted to have Janelson as part of our team.” adds, Chris Martin Sanchez, Fists of Legends’ Director of Operations.